The ground was broken last Friday for the new Patricia and Phillip Frost Museum of Science. Construction of the new museum is expected to cost $275 million and be completed in 2015. The 250,000 square foot, eco friendly green building was designed by Grimshaw Architects base out of London & New York. 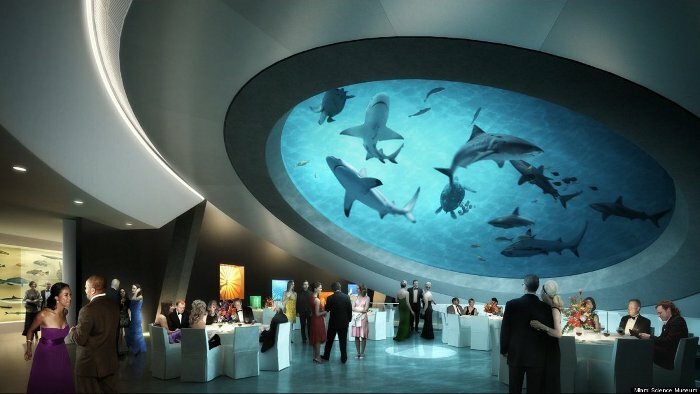 Along with a staggering 600,000 gallon aquarium the museum will house a dome 3-D planetarium. Make sure to watch the fly through rendering. More information on the museum can be found on the Huffington Post.